With all the attention and protests around the G8 summit being held in Japan this year, I wanted to take a look at something a bit more positive, and a bit cooler. Being a foreign minister to one of the eight most powerful countries in the world doesn’t come without its own perks. 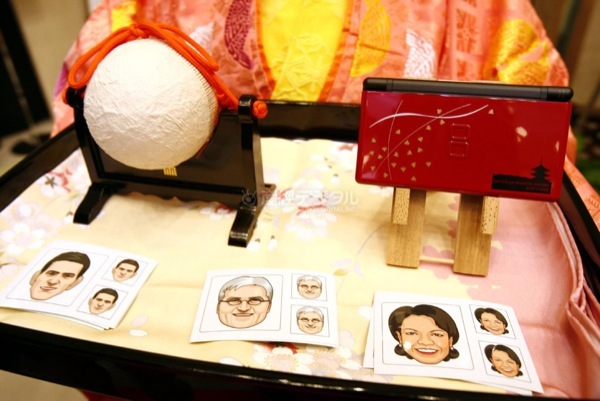 Among the gifts given to the foreign ministers, they received a custom Japanese lacquered DS lite, and “anime” inspired stickers. I wonder if Condi Rice knows how to turn it on.